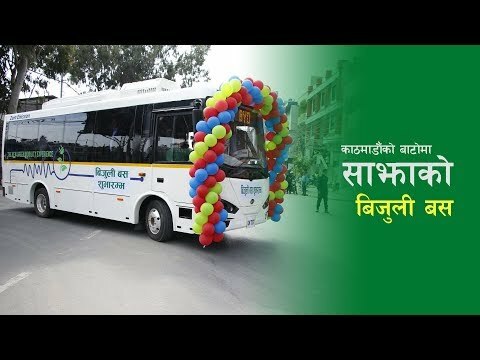 Bijuli(electric) buses have been brought into operation in Kathmandu Valley from today with the joint initiative of Lumbini Development Trust and Sajha Yatayat. Through this project, bank has provided five buses to Lumbini Development Trust, out of which two of the vehicles have been brought to Kathmandu to start operation and determine their functionality. According to the Executive Director of Sajha Yatayat, Bhusan Tuladhar, the bus service has begun operation under the South Asia Tourism Infrastructure Development Project supported by Asian Development Bank. Watch this video for details.